Heat oven to 375°F. In small bowl, mix melted butter and garlic powder. In 15x10x1-inch pan, brush 12x8-inch area with half of the melted butter mixture. Unroll and press 1 can of dough over melted butter mixture. If using crescent rolls, press seams to seal. 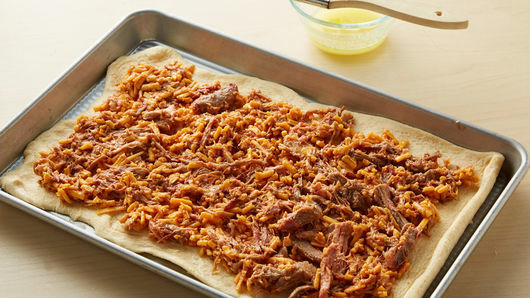 In medium bowl, mix 1 1/2 cups of the cheese and the pork, breaking up larger pieces of pork with fork, if necessary. 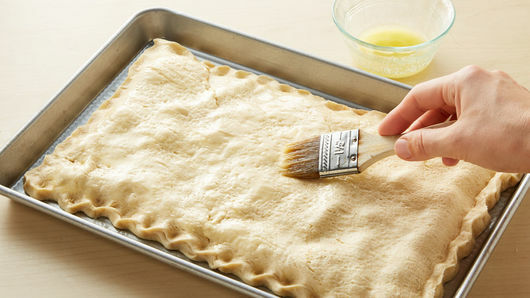 Spread mixture onto dough, leaving 1/2-inch border around edges. 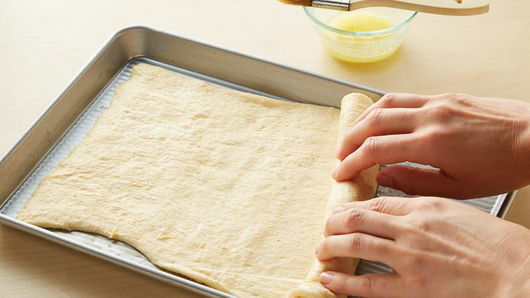 Unroll second can of dough; place over layered ingredients, stretching to cover filling. If using crescent rolls, unroll onto work surface, and press seams to seal; place over layered ingredients, stretching to cover filling. Press edges to seal; brush with remaining melted butter mixture. Bake 20 to 23 minutes or until dough is deep golden brown. Top with remaining 1/2 cup cheese. 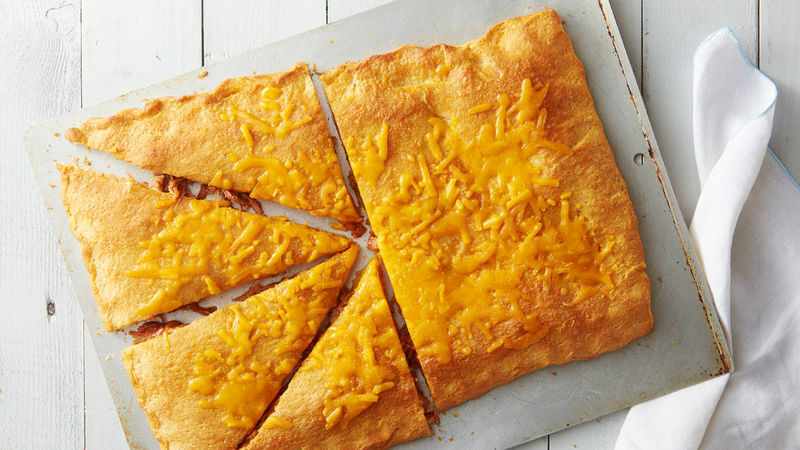 Bake 2 to 3 minutes or until cheese is melted. Refrigerated fully cooked pulled pork with barbecue sauce is sold in the meat section of the grocery store. If there are larger pieces of pork, shred slightly with fork before adding to sandwich. Add 1/4 teaspoon crushed red pepper flakes to filling for a spicy kick.